Meet to view your home. Review the pricing strategy which might include an appraisal. Discuss the Marketing Plans to offer the correct exposure for your home. Do a Pre-Marketing Staging Appointment if needed. Then the Exclusive Marketing Begins. The marketing of your Palm Beach County home will include radio, video, international exposure and so much more. Of course, this is an overview so if you are thinking of selling, give us a call at 561-352-3056. We are here to help you get the success you deserve. 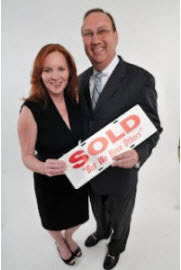 What do other Palm Beach County sellers and buyers say about Treu Group Real Estate? Listen to Palm Beach County Real Estate reviews.